Can NRIs (Non-resident Indian’s) vote in Indian elections? If you have obtained a passport of any foreign country, you are not permitted to vote in India. Overseas Citizen of India (OCI) card holding foreign citizens are not permitted to vote in Indian elections either. OCI is not equivalent to Indian passport. If you have an Indian passport, and haven’t acquired any overseas passport, you can vote, but only in the polling booth of your constituency in India. 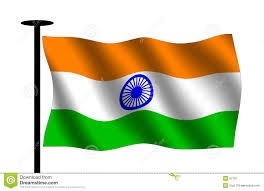 You will need to travel to India and then vote on the day of election. Online or proxy voting is not allowed for NRIs at present. Pre-poll and postal voting are also not allowed for NRIs. Every voter in India must be registered for electoral rolls (voters’ list). This can be done online http://ecisveep.nic.in/voters/overseas-voters/ by filling form 6a (and by providing necessary documents) or submitting necessary documents in the election office in your constituency in India. NRIs can thus be registered as overseas voters. This can be then used for voting in a polling station in your registered constituency in India on the day of election. You may or may not know that ECI was not in favour of online voting for NRIs, but was in favour of proxy voting for NRIs. Indian Government moved a bill in the Lower House of the Parliament to allow proxy voting for NRIs, which would have allowed them to authorize their relatives to vote on their behalf. The bill was passed in the Lower House of Indian Parliament (Lok Sabha), but it wasn’t passed in the Upper House of the Parliament (Rajya Sabha) and will lapse soon since the Lok Sabha is going to be dissolved in May 2019. Hopefully, it may be re-introduced later and passed in future. NRIs will need to lobby again, not just for proxy voting, but also for online voting. #SamparkForSamarthan is a smart and “out of box” campaign for/by BJP. Holding dialogue with prominent Indians in India is smart. The same strategy with appropriate modifications would be good in case of NRIs/PIOs too. We all know that NRIs/PIOs are not of same importance in the elections, but we shouldn’t ignore the fact that NRIs/PIOs have significant connections and clout back in India, which can be of electoral benefit to BJP. In my view, and in the views of many, OFBJP is a failed model for BJP. Most in them are lightweight, have little network among NRIs/PIOs, little desire to network for BJP, have very little ability as leaders, and are harming the interests of BJP. People in OFBJP seem to be more interested in pics with BJP dignitaries and officials. It’s advantageous for BJP associates to work with community associations, which is currently very difficult due to immaturity and ineptitude of OFBJP “leaders”. My advice: Sack them all and dissolve these useless OFBJP branches. Revamping them would obviously be an option. Will Mr Vijay Chauthaiwale (OFBJP Global head) and Mr Amit Shah (BJP President) listen is an entirely different question and indeed the one, which is worth a serious consideration. 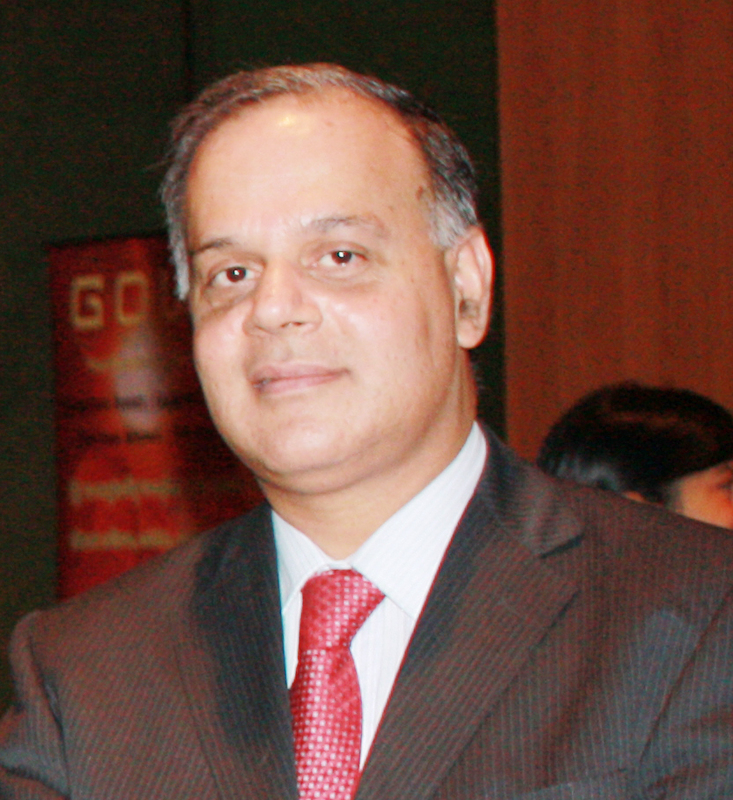 Overseas Indians need genuine dual- citizenship! With my informal discussion and interactions with Indians living overseas, it is clear to me that they want a genuine dual citizenship. Anything less is not going to satisfy their demands. My suggestion is that they should stop this process, and let the new Govt, after soon to be held Lok Sabha election, have a fresh look at this matter. 4. A fee for Overseas Indian Card is reasonable, not expensive. But I do not believe it is enough. It’s no point to make a half-hearted effort! What Overseas Indians need is a genuine dual citizenship of India, with full political and economic rights. India’s reluctance to offer Overseas Indians a true “Dual Citizenship” is difficult to understand. Overseas Indians, whether they hold Indian Passports or have Overseas Passports, love India. They have an emotional bond with India. This is true for a great majority of people with Indian heritage. b. giving convenient voting rights to such dual passport holders as well as Indian passport holders (NRIs), which can be exercised either at the Consulate, High Commission or Embassy premises in their country of residence or through postal or Online facilities. Postal Voting rights, after all, are allowed for India’s diplomatic staff, serving outside India. This is a good beginning, but this too is not sufficient. BJP needs to move towards agreeing to support genuine dual citizenship for overseas Indians. BJP should take this matter with full force and sincerity. Many countries allow dual-citizenships. India will not be the only one. This link http://www.dlgimmigration.com/united-states-citizenship/list-of-countries-that-allow-or-disallow-dual-citizenship/ will tell you which country allows dual-citizenship, and which doesn’t. Many of the developed countries like UK, Australia, USA, Switzerland, Finland and France see no issue in dual-citizenship, and these countries are no less security-conscious, if that was the reason why India is reluctant to offer dual-citizenship. Nobody can argue against India’ right to reject applications for Indian Passports (dual-citizenship) to Overseas citizens of Indian heritage if they have security issues or are associated with terrorist/separatist anti-India groups. Nobody can deny this right to India, but why to deny dual-citizenship to huge majority of patriotic Indians living overseas, just because a small minority of overseas Indians involve themselves in anti-India activities or terrorism. Making things simpler for Indians living overseas will be a smart move. Currently, NRIs must register their names in the voter lists at their place of residence in India, before they left India, and be physically present there to vote, which is practically very inconvenient, and financially prohibitive. Indian constitution allows NRIs to vote in theory, but Govt has not done anything to make it convenient for >10 million (>1 crore) NRIs, despite its lofty claims! I do not know how many PIOs/OCIs are there in the world, but it will be safe to assume there will be at least 10 million PIOs/OCIs. Looking after 20 million overseas Indians (NRIs, PIOs and OCIs), with decent, practical and helpful policies, will be a smart thing for India! NRI (Non-Resident Indian), PIO (Person of Indian Origin) and OCI Overseas Citizen of Indian) words do create some confusion for many people. 4. Fees for Overseas Indian Card is reasonable, not expensive. I do not see any issue with the requirement that the sticker for the OCI/PIO card or their replacement “Overseas Indian Card” should be pasted in the current passport. If we have to renew our Passports, we will need to have the “Overseas Indian Card” sticker transferred to the new Passport. It should however not cost more than a reasonable amount ie $50-100.00. While at it, we should not miss the real issue in regards to Overseas Indians-NRIs, PIOs and OCIs. This is about India’s reluctance to offer Overseas Indians a true “Dual Citizenship”. 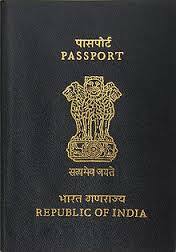 Nobody can argue against India’ right to reject applications for Indian Passports to Overseas citizens of Indian heritage if they have security issues or are associated with terrorist/separatist anti-India groups, if a thorough security investigation finds evidence of such background. Currently, NRIs must register their names in the voter lists at their place of residence in India, before they left India, and be physically present there to vote, which is practically very inconvenient, and financially prohibitive. NRIs get the voting rights in India. There is a good news for Non-Resident Indians [NRIs]. Prime Minister, Hon Mr Man Mohan Singh and Minister of Overseas Indian Affairs, Mr Vayalar Ravi, have announced on 24th Nov, 2010 that NRIs will get the voting rights in India. It does not matter how long they have been away from India. They are now able to have their names in the voter list. The only catch is that they will have to be in India on the day of voting. Election Commission of India has been asked to make necessary changes in its rules and regulations. I think it is a right step. There are more than 11 Million NRIs all over the world. Not all will be interested to be in India to enjoy their voting rights but it will certainly help those who want to do that. Previously, NRIs must have lived in India for al least 6 months before their names could go in the voter lists. No such need any more. I think the Indian Gov should have gone a bit further here. They should have made provisions for NRIs to be able to vote irrespective of whether they were in India or not on the day of voting. They could have gone to the nearby Indian consulates/Embassies/High Commissions to vote or even better, they could have sent postal votes. While this is all good, India needs to move forward a lot more in regards to dual citizenship. Several western countries have already done this. Australia, NZ, UK and USA already have it. To say that it has security implications for India is not a valid argument. There are lot more enemies of India inside India. One example is “that” IAS officer who was selling secrets while working in the Ministry of Home affairs. Another example was “that” officer in RAW who was doing anti-India activities and later fled to USA when he was about to be arrested. Yet another example is that wretched woman in Indian High Commission in Islamabad who was working for Pakistan. I believe, just like the vast majority of People of Indian Origin [PIOs] all over the world, that India should allow dual citizenship. People will need to quit their non-Indian citizenships before taking up any constitutional position in India. This is the way Australia manages this issue. A smart and progressive thinking is required from the Indian Government. India should strengthen the emotional and political linkage with PIOs who are a great asset for their motherland. This, it can do, by granting dual citizenships as long as security and character issues have been cleared for such PIOs.